Do you know the famous misquote that goes something like: “A young man who isn’t a socialist hasn’t got a heart; an old man who is a socialist hasn’t got a head”? Picturing Rupert reading “adulatory Russian poetry” and owning a bust of Lenin brings a tear to my eye. Yes, I am a nerd. It’s very possible that I have a very mild case of Asperger’s. I have to confess: I collect stamps. More than that. I don’t just collect any stamps. I inhabit a very very obscure and narrow niche in stamp collecting. It will probably take a paragraph or so to explain what kind of stamps I collect. 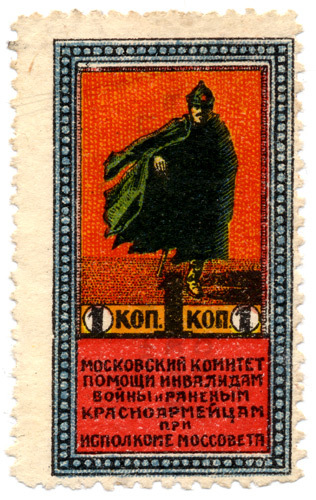 I collect stamps of RSFSR (Ð Ð¡Ð¤Ð¡Ð ). You see, familiar to everyone USSR (CCCP) was not formed right after the Bolshevik Revolution. That revolution transformed Russia into RSFSR – Russian Socialist Federated Soviet Republic. RSFSR was created in 1918. In 1922 it became a part of the USSR. It was a post-revolutionary time. 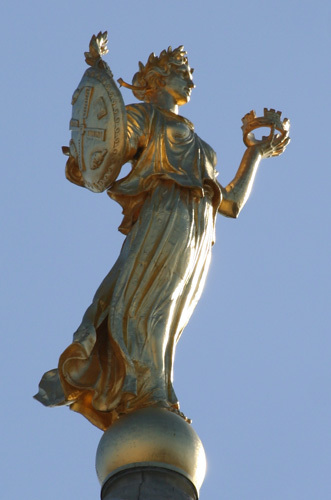 Time of confusion, reform, destruction, civil war, hunger, commissars. Lenin in charge, St. Petersburg is called Petrograd. The whole country is in convulsions. But the post continued to function. More than that, very talented engravers created stamps of amazing simplicity and striking beauty. As a reflection of the times the stamps are sometimes printed imperfectly. A stamp might have had hundreds of small variations, which may or may not affect their value. People spend their entire lives researching this stuff. The cool thing is that these stamps are in their majority very affordable because they were printed in large numbers. More recently I started collecting another weird type of stamps. This category of stamps is even narrower and they are not even technically postal stamps. They are charity stamps of something called VSEROKOMPOM. As you might have noticed, Bolsheviks very much liked acronims and shortened pharases. VSEROKOMPOM is a shorter version of “Vserosiyskiy Komitet Pomoschi Bol’nim i Ranenim Krasnoarmeytsam i Invalidam Voyni pri Vserosiyskom Ispolnitel’nom Kommitete Sovetov”. I’ts can be roughly translated as “All Russia Comittee for Helping SIck and Vounded Red Army Soldiers and War Invalids with the All Russia Executive Comittee”. VSEROKOMPOM seems easier in comparison, right? Well, in any case, it was a charity that helped sick and wounded Red Army soldiers (and there were lots of those around after the revolution and the civil war). These stamps were sold all over the country. It would work approximately like that. A boss in some office, store or factory would get a quota of these stamps to distribute. He or she would distribute those stamps among all the workers. And they in their turn would try to sell them. Cashiers often forced customers to accept the stamps instead of change. A bureaucrat would affix these stamps next to revenue stamps on government paperwork and charge the person who submitted the papers. The stamps would be added to movie and theater ticket stubs, money transfers. Well, you get the idea. The cool thing about those stamps was their design. Bright, expressive these stamps speak to you. They scream at you. They are real works of art. This stamp would make a pretty good poster, don’t you think? 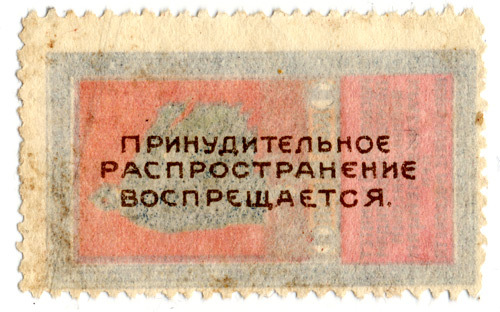 The text on the back of the stamp says: “Forced Selling Prohibited”. Yeah, right.